Planning an extension? If so you’re probably in search of ways to create more space and to bring more light into your home. Some homes present a few more challenges than others when it comes to achieving this however. In this blog we’re going to be taking a look at period homes and how to create that showcase extension for even more challenging properties. 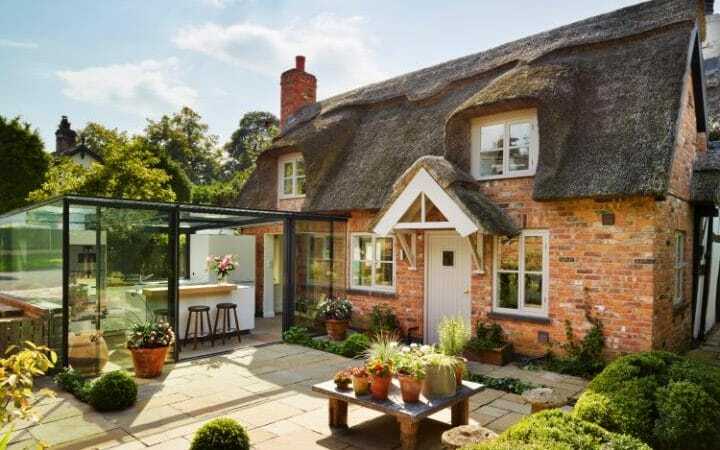 Period homes can bring their own unique challenges when it comes to designing any kind of extension. Creating the right kind of design that complements a period property can be extremely challenging. Which is why nowadays architects and home owners are opting for creating extensions that are in marked contrast to the main house, but complement and also highlight its period features. 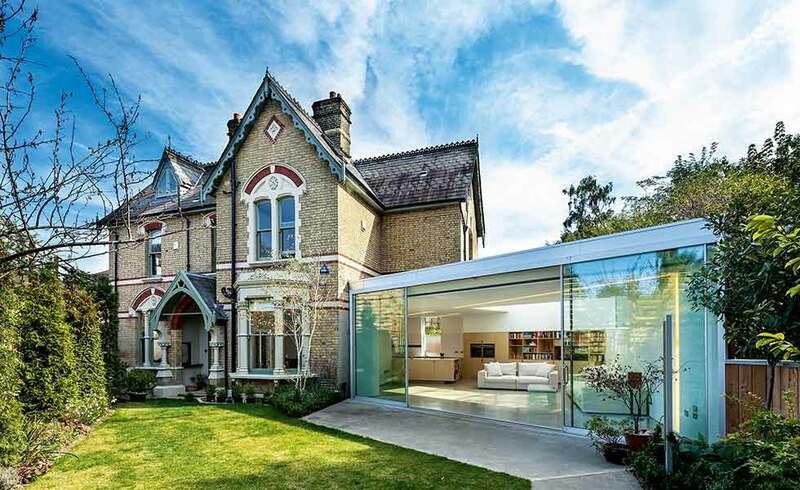 When frameless structural glazing becomes the primary material when constructing an extension, not only does it not require the original building to be altered in any way, it also does not intrude on the building’s appearance either. Frameless glazing can be used not only to create an internal environment that can be regulated and temperature controlled like other areas of the house, but also provide the strong statement that both contrasts with and enhances the original property. 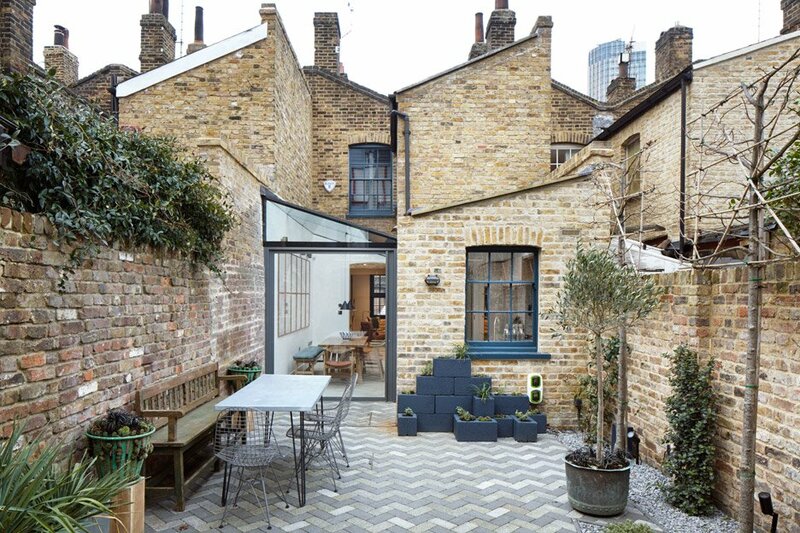 Because this type of extension showcases rather than conceals the building’s original character, the features and charm of the original remain unaltered. 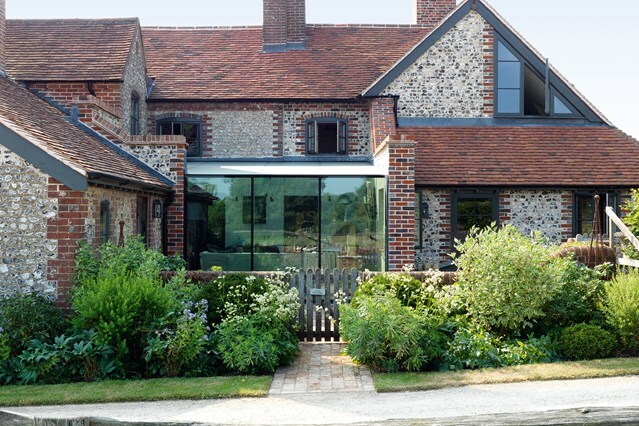 Frameless glazing extensions are the perfect way to blend the old with the new – and enjoy the benefits of both. Listed building? Don’t despair! 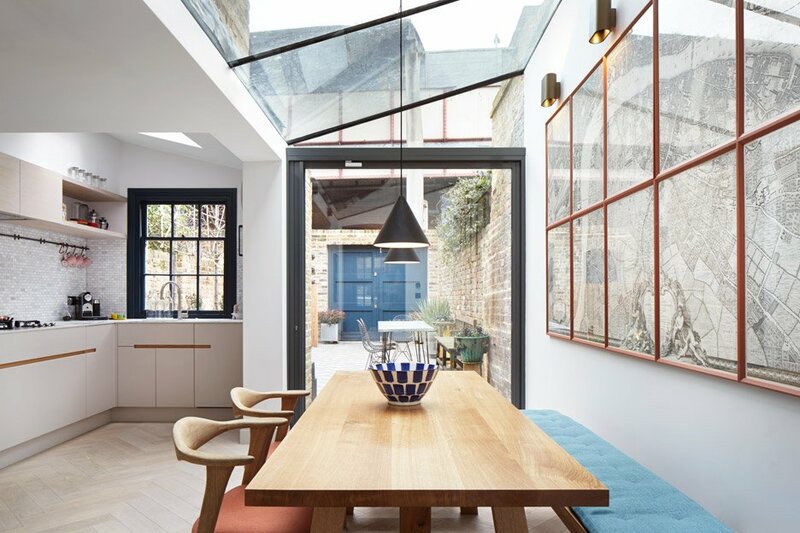 While planning permission is usually needed with listed buildings, frameless glazing solutions means that it is normally granted as in this example of glass roofed side return extension for a Grade II listed house in Lambeth, London by Fraher Architects. Period properties offer up challenges when it comes to adding extensions. But newer homes can bring their own set of unique problems which have nothing to do with conservation, listed buildings or preserving character. But sometimes we need to add character to an existing building. Perhaps there is little that differentiates our home from those of our neighbours. Or it stands out for all the wrong reasons – it looks bland or dated by comparison, or it has been unsympathetically extended in the past. We can love our neighbourhood, our street, the schools, the local amenities – and while we may love our home, we may also know it’s ugly. So if everything else is right aside from the appearance of our home, then why move? 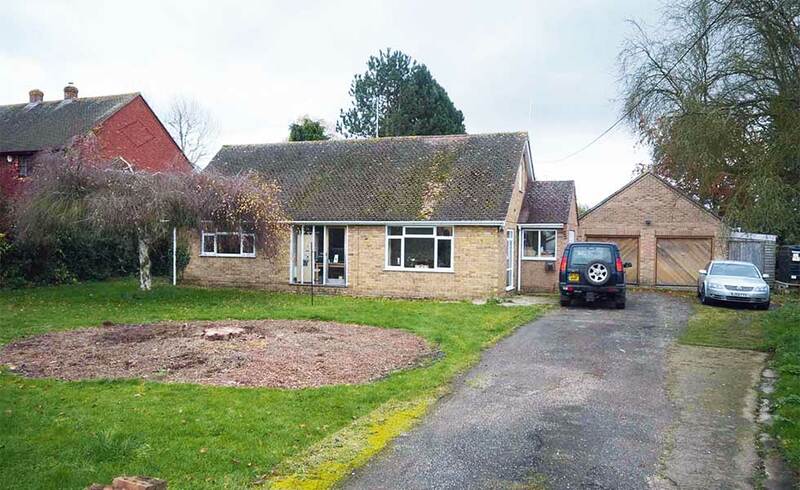 A glazed extension can totally transform your home’s appearance as in these incredible ‘Before’ and ‘After’ photos of this bungalow. 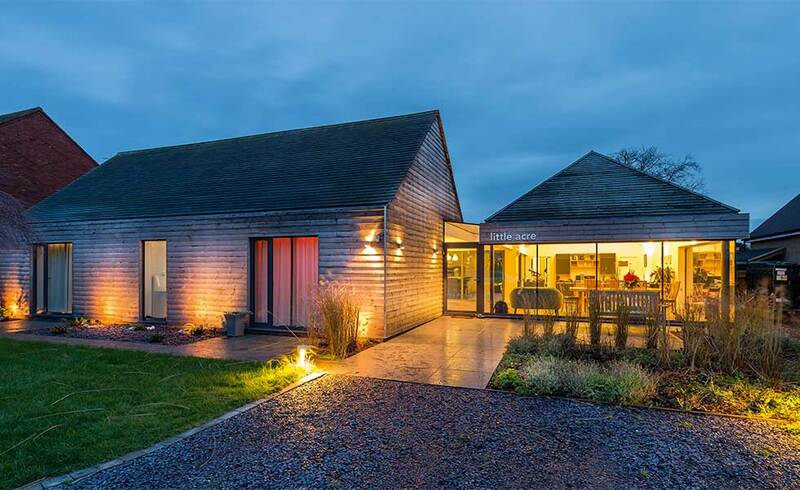 In cases like these, the extension is often undertaken as just one part of a total remodel. Unlike extensions for period properties, the focus is less about letting the original character show through as adding the character that is missing. The results can elevate a home that wouldn’t rate a second look on Rightmove, to one that would have people queueing around the block to buy. Not that you’d want to sell. Whether your home is oozing with period charm that mustn’t be concealed or in desperate need of a facelift, light adds not only living space, but also style and character too. Simply put, glazing makes a statement. VisionAGI works with you, your architect or builder to help you create the space that turns your house into a showcase. For more inspiration explore our range of rooflights and glazing and walk through our galleries and case studies. Visualise what living in the light would be like then talk to us. It’s our vision that makes the difference.